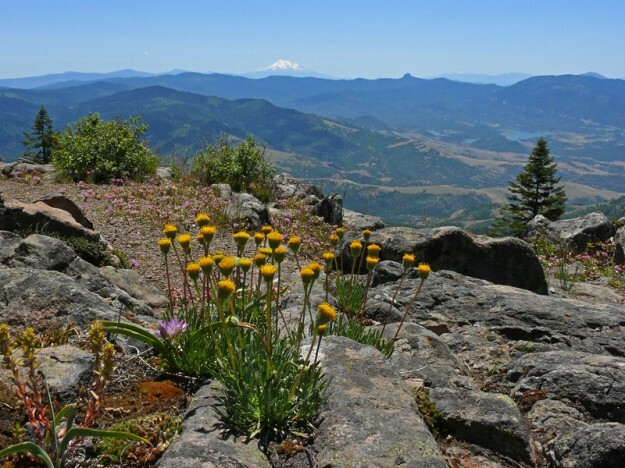 A variety of habitats and great views can be found on this relatively easy hike just outside of Ashland. 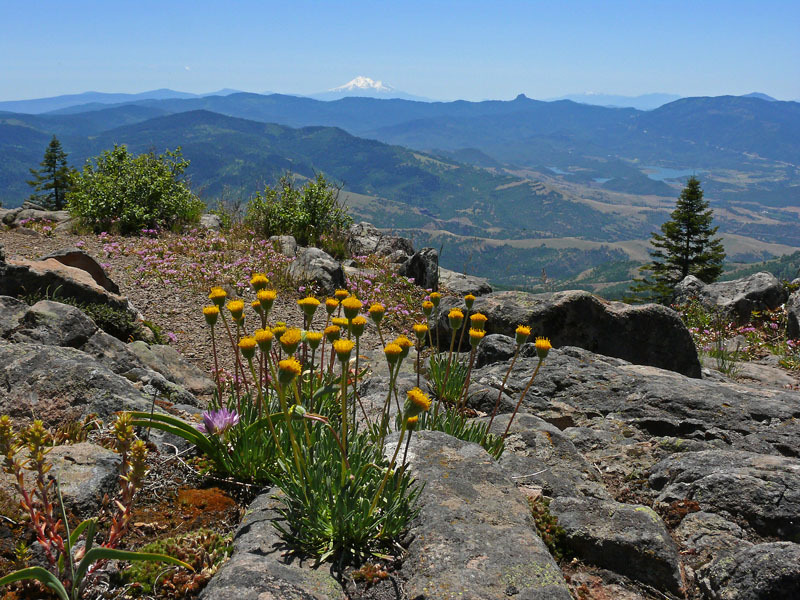 It is an interesting floral transition area between the Cascades and Siskiyous, with many unusual plants from eastern Oregon appearing as well. It is also a fabulous place to see butterflies, bees, and all kinds of wonderful insects. From Ashland, go east from I-5 exit 14 on Rte 66 for less than a mile. Turn left of Dead Indian Memorial Road 722, and continue east for 6.7 miles. Turn left on Shale City Rd 38-2E-27, and continue north for about 3 miles. Turn west on BLM Rd 38-2E-9.2, and in 1.7 miles the road ends at the trailhead parking area.